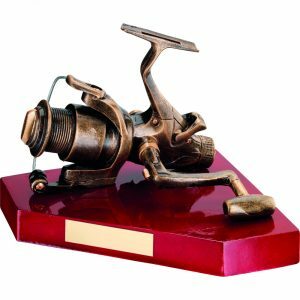 If you can play it, we’ve got an award to celebrate it! “One Hundred and Eighty!” A great choice of trophies including our beautiful range of crystal diamond glass trophies supplied in a silk lined case. We’ve a great range of awards for our “table top sportsmen and women”. 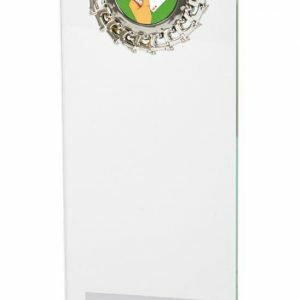 Consider one of our jade glass awards made with a laser cut and encapsulated theme design. A really striking piece and worthy of any champions mantlepiece. 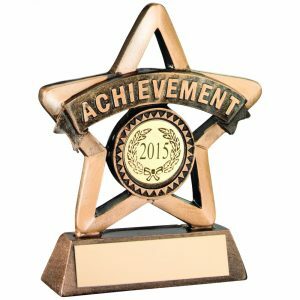 We’ve a stunning range of awards to help celebrate the champions of the green baize. Beautifully themed trophies all with space for engraving carried out by our professional in-house team. Don’t forget to check out our Jade Glass trophies with designs actually lasered inside the glass itself! 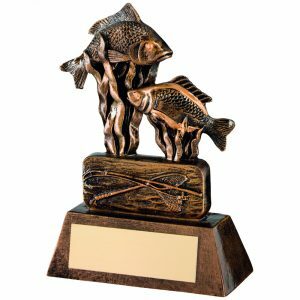 If you’re “angling” for a quality trophies to celebrate the ones that didn’t get away you’ll be delighted with our range of trophies for fishing. Trophies for tennis, squash and badminton don’t come more smashing than this. A great range of quality trophies all benefitting from in-house engraving by our professional team. Game, set and match! 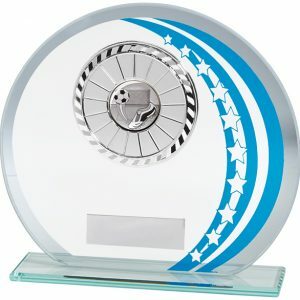 Whether your team get their thrills on two or four wheels we have a perfect trophy for your winners. Our theme based designs really capture the essence of your sport and have plaque space for your custom engraving. Our bowls trophy selection is stunning. Choose between beautifully crafted theme designs or contemporary class and crystal trophies that really shine. Our prices are really keen and the service is as smooth as the perfect bowl action. 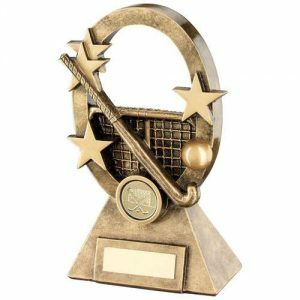 Our newly updated range of Netball trophies feature contemporary designs and options in Jade Glass, a beautiful trophy supplied in a silk lined case. Every trophy is finished off with precision engraving from our in house team of professional engravers. 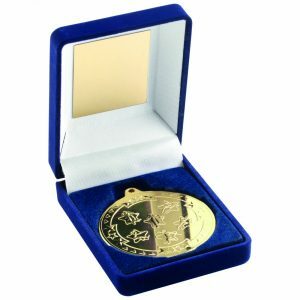 Give your champions a trophy that truly celebrates their achievement. 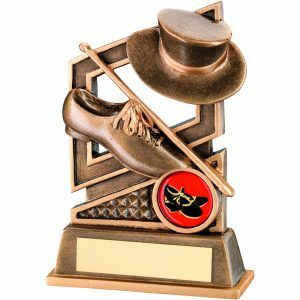 Our beautifully themed hockey trophies are available for male and female teams in a range of styles and sizes. 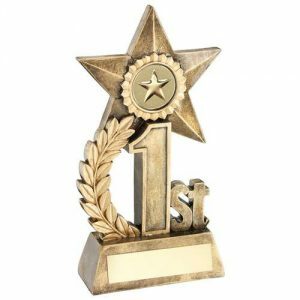 Great value trophies for basketball available in three sizes and all benefitting from our quality engraving service. Strike a great deal with our 10 pin bowling trophies. Available in three sizes and all benefitting from our quality engraving service. Not only do we supply and engrave equestrian trophies we also supply quality rosettes with a choice of centre disc messages. Great value and great service, delivered to your door or available for immediate collection from our workshop in Crawley. 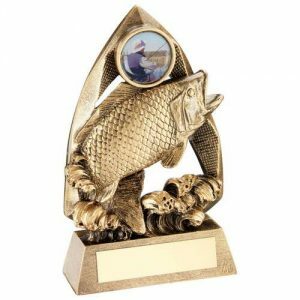 Our beautifully crafted cricket trophies really capture the competitive spirit of the game and are available in many styles and sizes. From traditional base mounted poses and themes through to the simple beauty of laser encapsulated glass. All finished off with bespoke detailed engraving as specified by you. 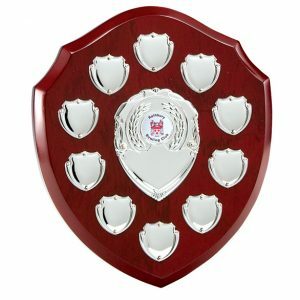 JEM Trophies supply a formidable range of shields and cups for pretty much any sport you care to mention (or play). Materials range from plastic, through to acrylics, wood, marble, silver and bronze and are available in many styles and sizes. Remember everything we do is governed by our strict quality control and personal service. 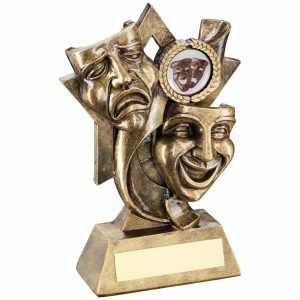 We’re happy supplying one offs or seasonal team awards so please feel free to get in touch. We’ve featured below a range of our most popular awards which you can order online now. For our full range please download our catalogues.